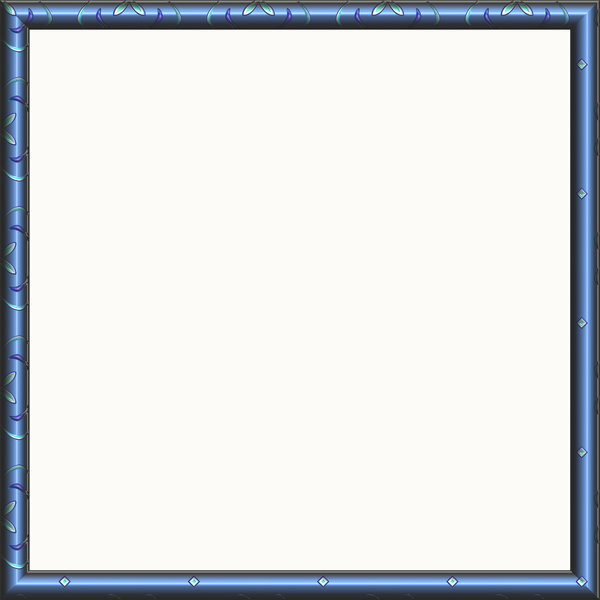 An ornamental metallic frame in blue, purple and green, with leaf and diamond shapes. Shape can easily be changed from square to rectangular. Hi-res image.